Leah Adams, a member of SDA in Washington, creates distinctive fiber art with handmade felt. Inspired by textures observed in the everyday world, from leaded windows to roof shingles, each piece is at once sculptural, functional and whimsical. Learning from methodical exploration and happy accidents, Leah feeds on ideas gathered from the small people working at her side, students in her workshops and accomplished artists working around the world. Leaving the doors to inspiration wide open, her art grows with each suggestion and comment made by those in her surroundings. Leah offers classes at her Spark Studio in Ballard (Seattle.) Looking for a special treat? 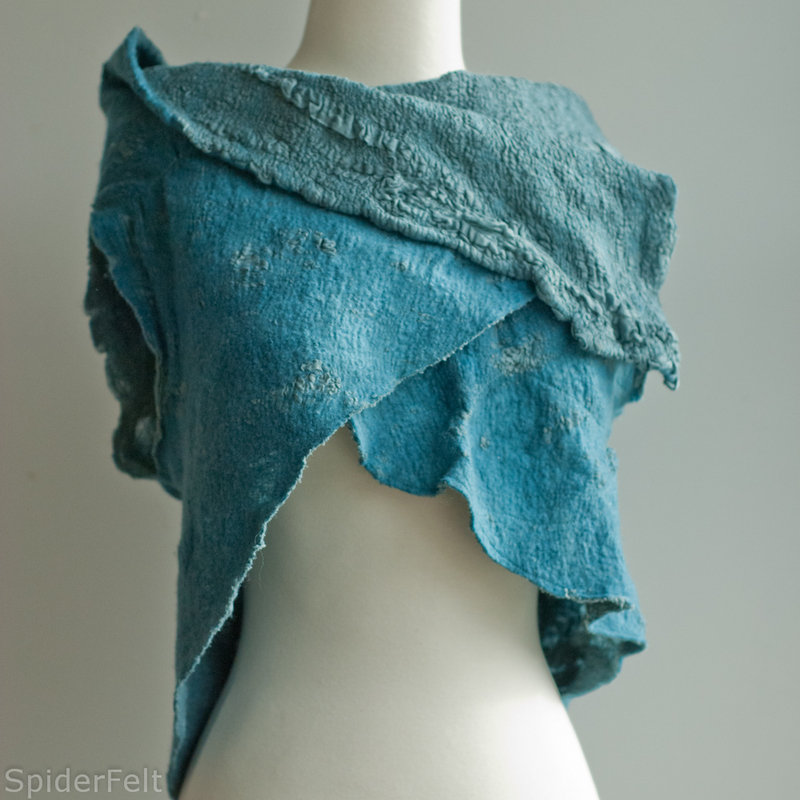 How about a weekend of felting on Whidbey Island? 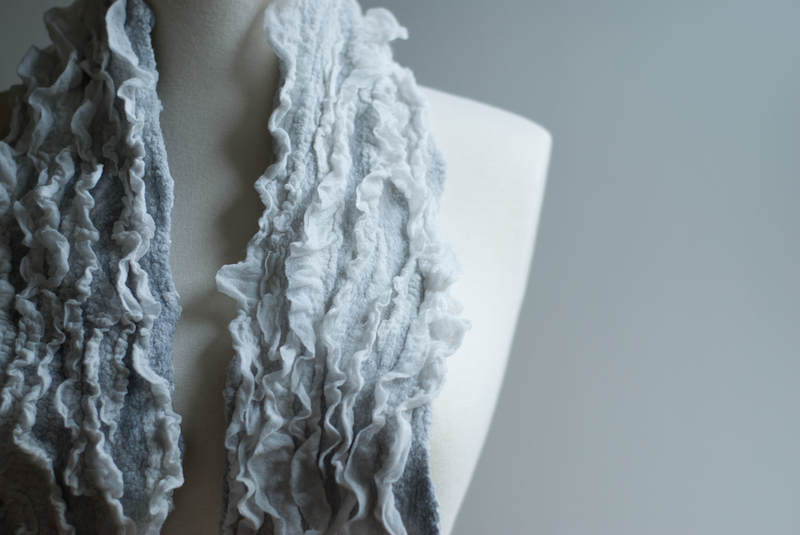 Felting wool through a base fabric creates a new cloth, both warm and flexible and often with a puckered or ruffled texture. Nunofelt offers structure and support to a thin piece of felt, allowing a fabric that is lighter than would be possible with pure wool. In this two day workshop, students will create several samples to understand the method and textures possible using this technique. 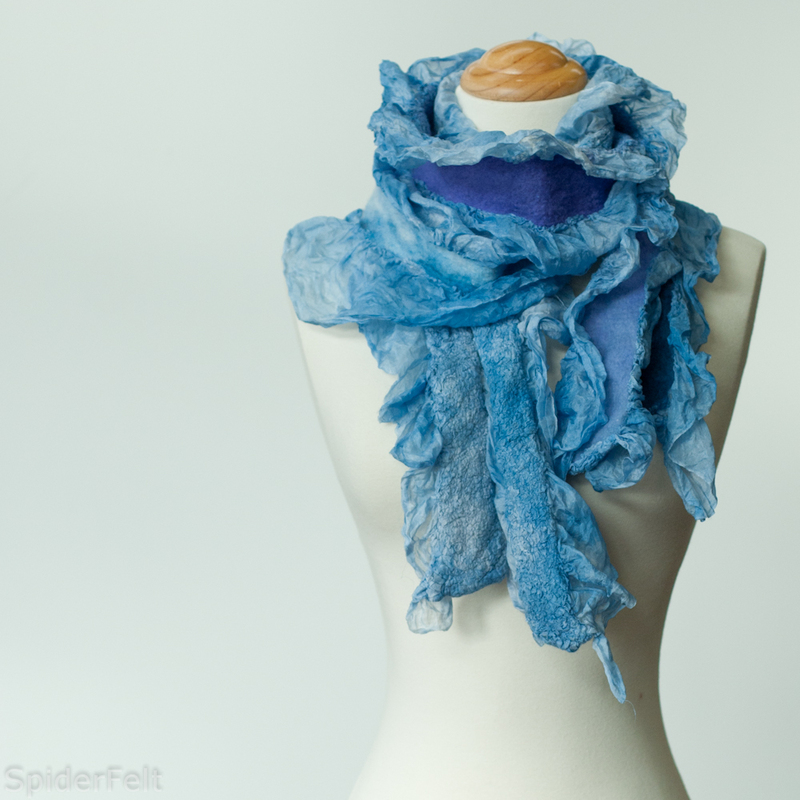 Using these samples as a point of departure, they will create create a scarf, shrug or wrap. This entry was posted in Member Event, Workshop and tagged Felting, Leah Adams, nunofelt, Pacific Northwest Art School.